Okay. You’ve climbed on the salt bandwagon. You have an entire library of salts, in various shapes and sizes, from all over the world. And if you’re like me, you’re confused. Do you really need to spend a fortune on salt? Which should you use, and when? 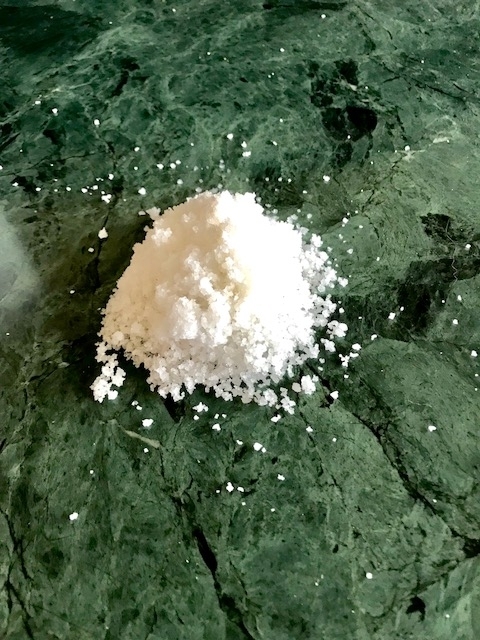 Mark Bitterman is a salt fanatic, and he sells a whole range of salts from all over the world. You can read about him and his company here. Or you can just cut to the chase and buy a BIG bag of his fleur de sel: 2.8 pounds for about fifteen bucks. Organic, sun-dried, hand harvested. Lovely to taste and fine to touch. You won’t be sorry. And while you’re at it, buy some for your friends. They will thank you. This salt was available on Amazon but is no longer. Help! Where to buy? I am addicted to this lovely salt. I found it on one site but the shipping was ridiculous. 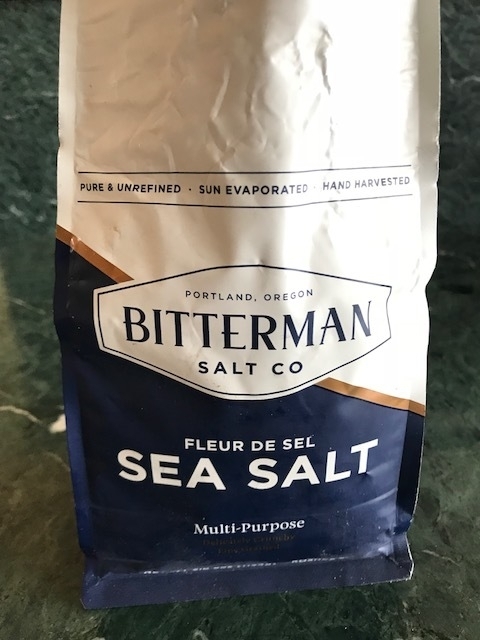 They sell Bitterman salt at Sur La Table… I bought my last bag there.